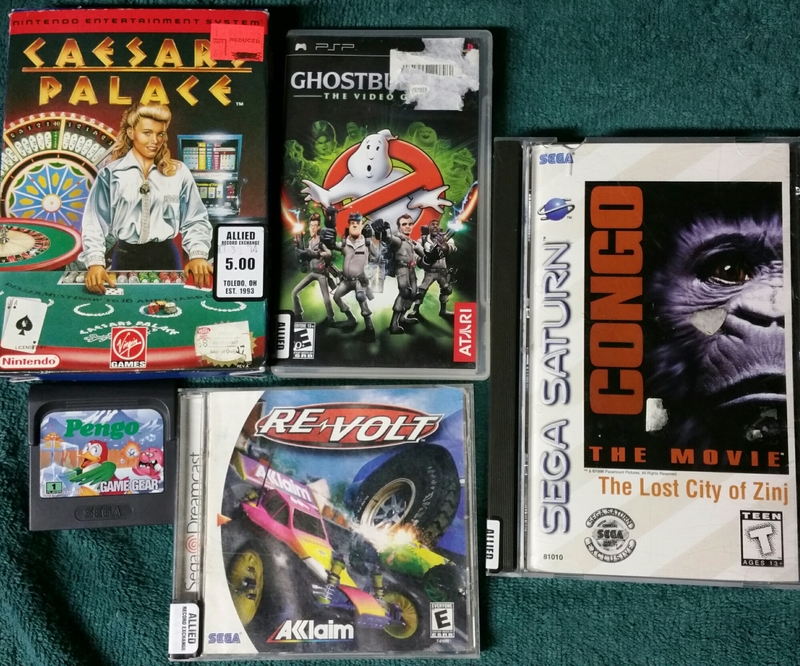 Local game store find, $18 for all. Sometimes I’ll realize a game ISN’T rare and get depressed at the thought. Like, how could so many people walk into a game store and think, “What a great game that Congo must be!” And thus, while not super common, it’s still pretty easy to come by despite being a total disaster. Go figure. Small Flat Rock, Michigan flea market find. Pac-Man stuff is easy to find. MS. Pac-Man stuff? Not so much. That’s one of my first pieces from the game, and the first glass. 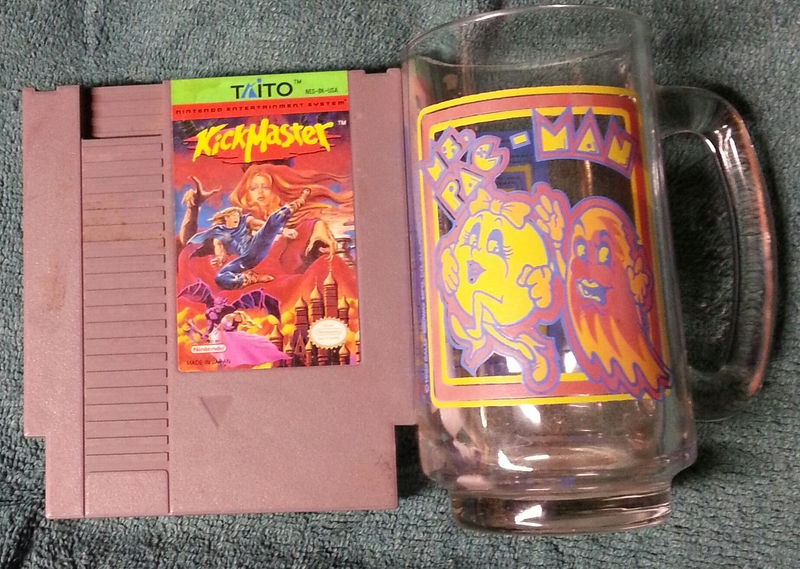 As for Kickmaster, that was a game worth about $10 a year ago. Now? It’s about $40-$50, a perfect example of the market’s hyper inflation.